Often, those who choose to take out a payday loan feel as if they have no other options. A payday loan can be quick and easy to obtain, which makes it seem like a good decision when someone runs into an urgent need for cash. However, many things make payday loans bad news, primarily the fact that they have high-interest rates and are due back in a short period of time. We’ll look at some other options you might have besides a payday loan, so you have an idea of the alternatives that are out there. If you’re running low on money and need to pay a bill quickly, one option is to sell some of the things you own. Look through your belongings for things that are either unused or rarely used and consider the value they have. You may be holding onto some items for sentimental reasons, or you may simply have some things around the house that you have never gotten around to using. Either way, it’s simple enough to snap a few pictures with a camera or your smartphone and then post the items up on Craigslist or a similar website. Another option is to drop by a pawn shop or see if any friends are interested in buying items you no longer need. While this may take some effort, it beats taking out a payday loan with the interest and stress it can cause. If you’ve spent any amount of time with your current bank, they likely know all sorts of things about your finances – including your credit, income, accounts, and other personal information. This is why your bank is a good option if you want to consider a personal loan. You could also ask about a potential overdraft or credit card that you can use for your current needs. Those who work at your bank can also let you know about any special programs or discounts that they may offer for individuals in your situation. It’s always worth asking as the worst you can hear is no, and if the answer is yes, you could end up saving money rather than being forced to deal with a predatory payday loan company. With so many banks out there in the world, it’s no surprise that they are often working hard to get people to switch from their current bank to the new bank. Some of these banks will actually pay you money for opening an account or offer some other sort of perk. You may have to make a deposit to qualify, but it’s certainly something to consider. Sometimes these opening perks can make you $100 or even more. 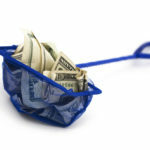 While it’s best to leave savings where it is, if you are in financial straits, it can sometimes be worthwhile to borrow money from your savings account. If the choice is savings or a payday loan, there’s no contest. Borrow the savings money. Take a look at your savings account, if you have one, and determine how much you can take from it to reduce your current debt. This is a good idea only if you commit to replacing the money and if it will help you avoid the high-interest rate that a payday loan is known for. The great thing about this option is that it’s interest-free. However, you can commit to repaying it and even pay yourself interest until your savings account is back where it was. 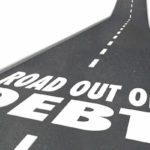 If you’re having issues paying off a bill or two, sometimes the best option is to speak with your creditor, rather than chaotically attempting to find a way to handle the situation. You can ask about an extension, penalties, and possible resolutions. You may be able to put off a payment or pay a larger amount later, if that helps in your situation. 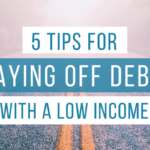 Some creditors have penalties for defaulting a payment, but these can vary from an extra charge to an increased interest rate. If that’s the case, you may want to sit down and do the math before determining the best option. When all else fails, you may be able to find support in your own community. Social groups, faith-based organizations, and other places often give out emergency help to those who need it. This may take some time to set up and get going, but it’s sure to be a better option than choosing a payday loan, which will bring its own payments and sets of problems with it. Consider programs like the Low-Income Home Energy Assistance Program (IHEAP) and others like it; they may be able to pay one or more of your bills or point you in the direction of further help. If you have a credit card, you may qualify for a cash advance which is an excellent alternative to a payday loan. In fact, some credit card companies specifically look to help those with financial problems or less than excellent credit. Cash advances will have an interest rate attached, but it’s likely to be less than the interest rate on a payday loan. You’ll also typically have longer to repay it so that you can avoid some stress. In addition, if you pay the balance off in the same billing statement, you can often completely avoid that interest charge. Some of these options may work for you and your situation, while others may not. 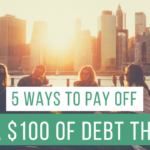 The important thing is to consider all the possibilities – whether that’s having a yard sale, borrowing money from friends, or signing up for an account with a new bank. Those who already have payday loans, and who may be struggling to pay them, should consider a payday loan consolidation service, such as the one at RealPDLHelp.com. Consolidating a number of loans can save you money and put you on the road toward financial success. How to Avoid a Payday Loan Trap?